Iain McNicol, general secretary of the Labour party, travelled to Israel this week with Labour Friends of Israel. The three-day trip included laying a wreath at Yad Vashem; meeting with Israeli Labor MKs Hilik Bar and Michal Biran and the party’s new general secretary, Eran Hermoni; visiting a Jerusalem coexistence project; and a tour of the Old City of Jerusalem and the Knesset. Reflecting on the trip, Mr McNicol said he was “proud to represent the Labour party in Israel with LFI”. McNicol’s visit to Yad Vashem follows an invitation last year to Jeremy Corbyn from Israeli Labor party chairman, Isaac Herzog, to visit the Holocaust museum. Though Corbyn declined the invitation, citing a busy schedule, both Labour deputy leader Tom Watson, who visited Israel last November, and McNicol took up invitations from LFI to visit the Jewish state. McNicol said he was “deeply honoured to lay a wreath at Yad Vashem on behalf of the Labour party; vowing never to forget the darkest moment in human history”. McNicol’s political meetings also included discussions with Israeli Labor MKs Hilik Bar and Michal Biran, where they discussed the shared ambitions and challenges of social democratic parties and how best to use the relationship between the two sister parties to promote a two-state solution. 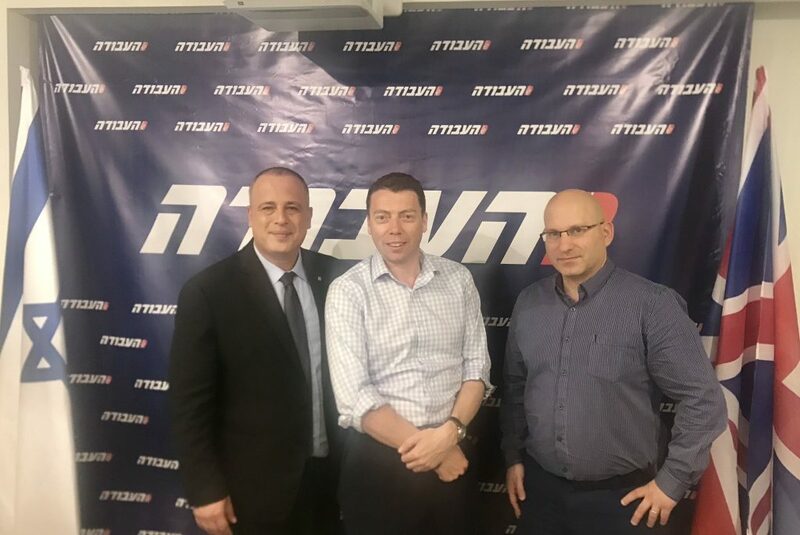 McNicol said: “I’d like to thank LFI for organising this visit and for the vital work they do to bring our two sister parties together in a spirit of friendship and solidarity.” McNicol also met with Britain’s deputy ambassador to Israel, Tony Kay. During his time in Jerusalem, McNicol visited the Knesset, the Western Wall and the Old City of Jerusalem, as well as meeting with MEET, a co-existence project that brings young Israelis and young Palestinians together to teach entrepreneurial and tech skills. LFI is supporting coexistence initiatives like MEET through our ‘For Palestine, For Israel, For Peace’ campaign, which calls on the government to increase its spending on people-to-people projects.